Conversations about estate tax planning and life insurance often go hand in hand. Life insurance has historically been an attractive asset that can help pay for estate taxes and provide estate liquidity. Even in situations where an estate would not owe any federal estate taxes, life insurance can still play a valuable role in the overall plan. There are many benefits to owning life insurance aside from those related to estate taxes. Most notably, life insurance can provide protection in the form of an income tax-free death benefit and income replacement. There are also life insurance riders available to provide additional coverage for long-term care costs. 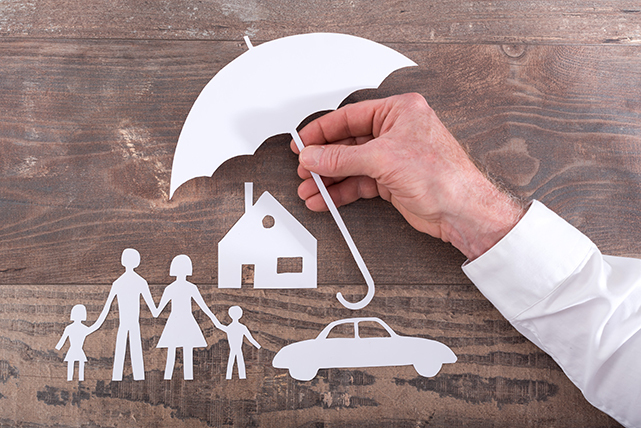 Let’s take a closer look at some of the benefits of life insurance in an estate plan. A life insurance death benefit can provide liquidity, or the availability of liquid assets, at a time when it is needed most: to pay final expenses such as funeral costs, capital gains, and income taxes, and to settle the estate among all beneficiaries. Estates can be comprised of various assets, some of which are harder to divide than others, such as business interests and real estate. Consider an example where an estate is largely comprised of business interest, and one of the children is actively involved in the business while the other is not. Leaving the business to the child involved in the company makes good sense from a practical standpoint, but leaves the other child in an unequal position. A life insurance policy can provide the needed funds to equalize the estate among all beneficiaries and work toward equity amongst all heirs. Life insurance can be used to equalize inheritance in a blended family to help prevent family discord at death. Proceeds from a life insurance policy could be left to children from a prior marriage to ensure that these children do not have to rely on a surviving stepparent in order to inherit. Life insurance not only can enhance the legacy left to families, but can also provide a protective inheritance should more of the estate assets be spent down during lifetime than originally planned. Life insurance can leverage the value of an asset, thus enhancing the asset’s original value, usually on a tax-favored basis. Contact us today and we can help educate you on your life insurance and estate planning options to fit your current and future needs.